San Diego Moms! Have you been to Trilogy Sanctuary in La Jolla? I highly recommend checking it out if you haven't already. I recently had my first aerial yoga experience here and I'm already stoked for my next class. Aerial yoga uses hammocks, which help to deepen your stretches and release tension in your body, especially in the spine. The yoga class was great! Hanging in the hammocks in yoga poses felt amazing, almost like a massage. My body felt incredible the next day! The yoga facility is outdoors on the rooftop of a building in downtown La Jolla with ocean views. My girlfriends and I stayed for lunch after class and I'm so glad I did. The menu is 100% organic, vegan, gluten free and soy free. My friend and I shared the Thai Quinoa Bowl (quinoa, kale, sweet potato, spinach and broccoli with a peanut sauce & sesame seeds) and the Mediterranean Spaghetti Squash (spaghetti squash, pesto, roasted portobello mushrooms, Roma tomatoes, sun dried tomatoes, kalamata olives, fresh basil & pine nuts. They also have kombucha on tap! This is definitely my new favorite place. Please open one in Encinitas!!! Why are there a thousand different choices when it comes to carseats?! There so many great ones on the market, it's hard to know which one to choose. Before Rio was born, I did a lot of research on safety. 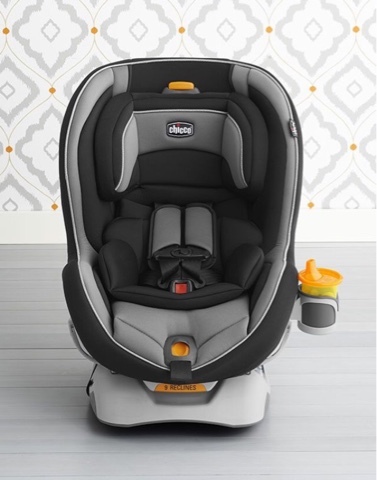 We ended up choosing the Chicco KeyFit 30 as Rio's infant seat. It was a great first carseat- easy to get in and out of the car, lightweight, easy to install and adjust. When he outgrew that seat (limit is 30 pounds or 30 inches), we ended up choosing the Chicco NextFit Convertible carseat. Once again, I googled my brains out trying to figure out which one to buy. I wrote this post hoping to save you some time! Out of the numerous websites I researched, the Britax and Chicco convertible carseats seemed to be in the top 3 every time. We ended up going with Chicco again, since that was the brand we picked the first time around and it worked for us. 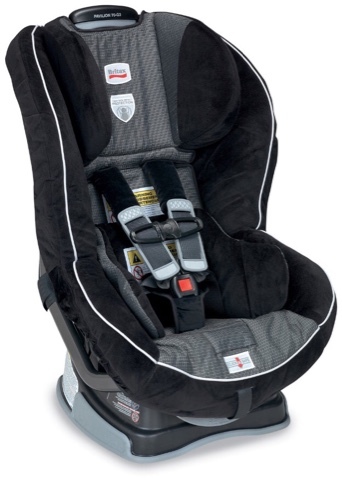 In this carseat, babies can sit rear-facing from 5-40 pounds and forward-facing from 22-65 pounds. I plan to keep Rio rear facing until 40 pounds. Read more about how long to keep your baby rear facing here and here. There is a lot of information online on this topic. I also bought this Brica bag from Buy Buy Baby. 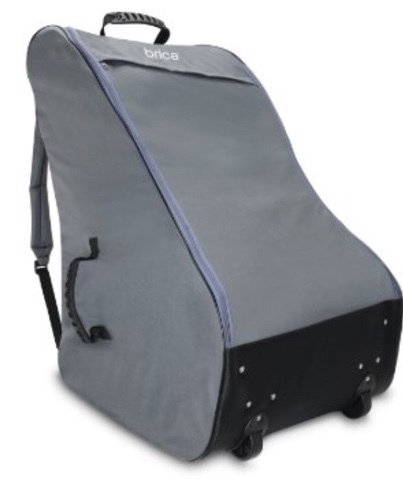 It has wheels so it can be a rolling bag and also backpack straps. The carseat fits perfectly inside. You can buy it here! 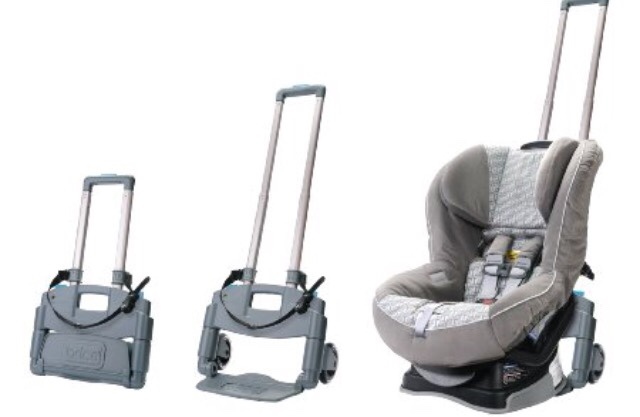 This Brica carseat transporter looks kind of great too! I also might consider this Lilly Gold Sit and Stroll. It would be great for traveling!! Good luck with your search...I hope this helps! 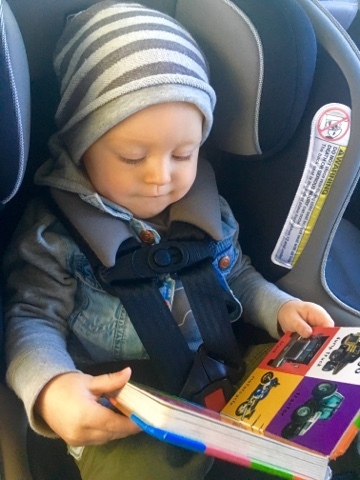 Here is Rio enjoying a book in his new carseat!